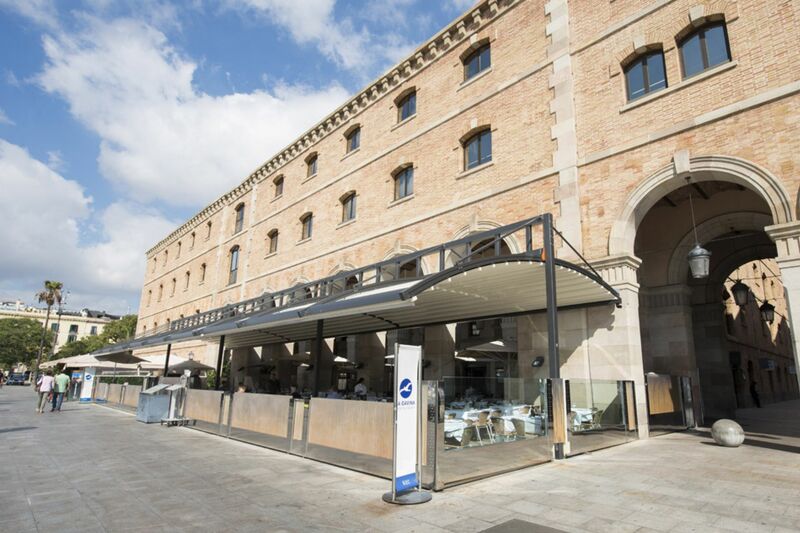 La Gavina is a restaurant located in the Palau de Mar building, typical of the port architecture of 19th century Barcelona. 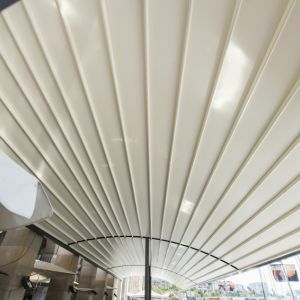 The project is carried out with the objective of covering the 200 m² terrace, in the space outside the porches. 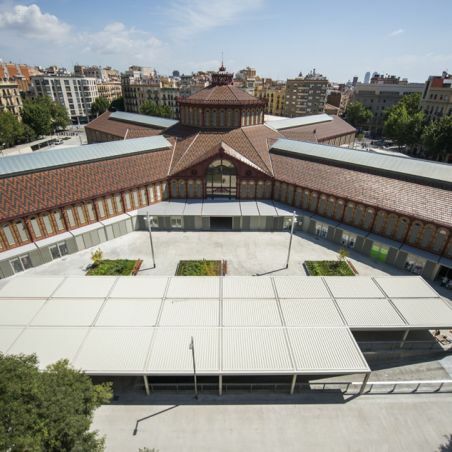 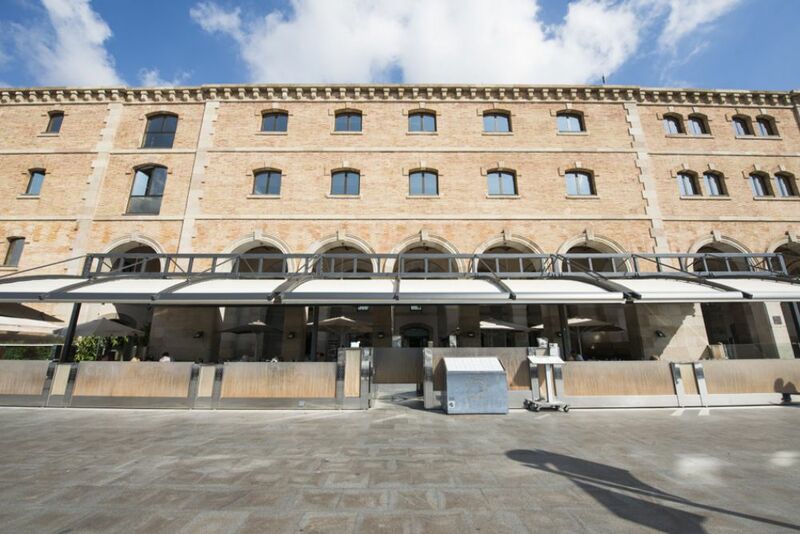 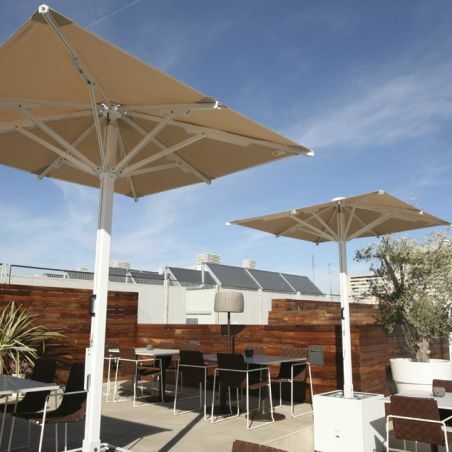 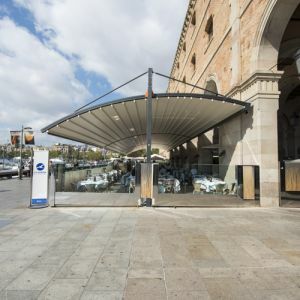 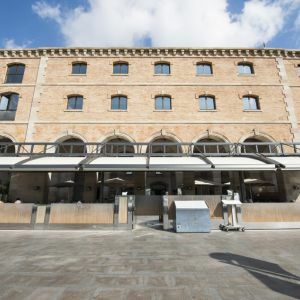 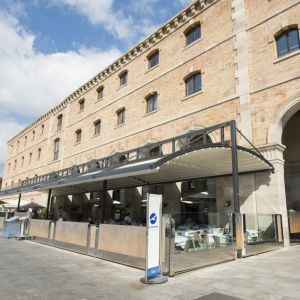 This restaurant is the first in the Catalan capital to install this pergola, which all the restaurants in the Port of Barcelona will soon implant their terraces. 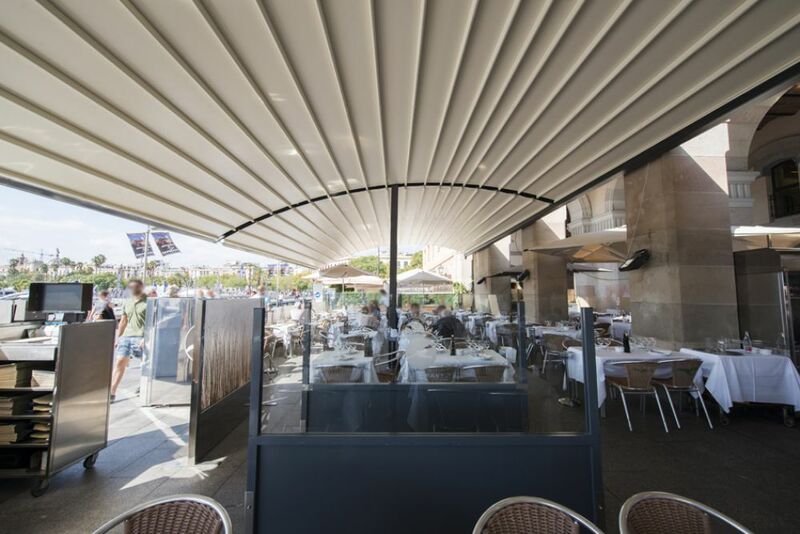 With this product, the restaurant aims to make the space more profitable and obtain greater comfort both for the workers and for the customers. 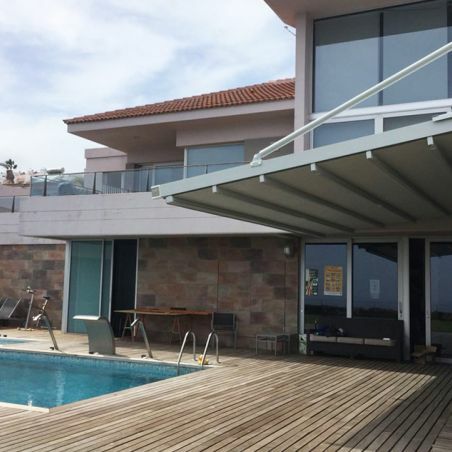 Three TW99XL pergolas have been installed in this project, implemented with four guides. 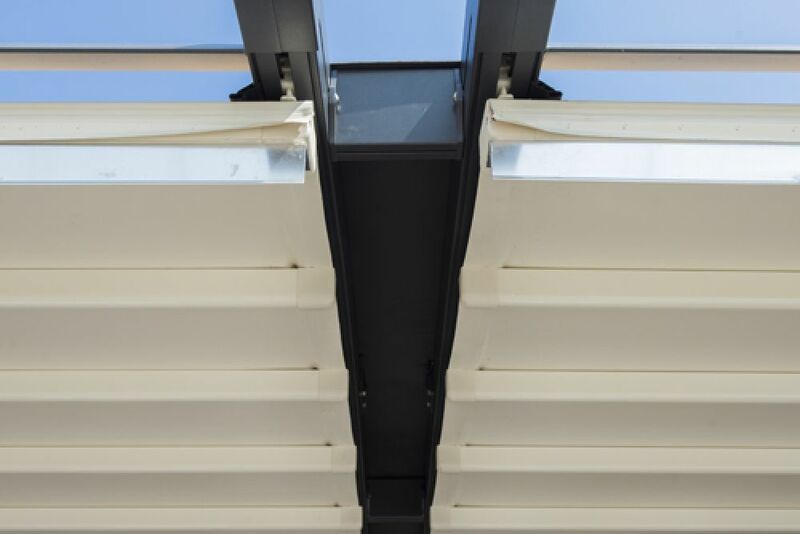 Each of the three units covers a surface area of 9 m x 7.5 m, bringing the total to 200 m². 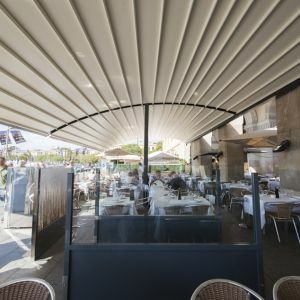 The cream coloured CR295 tarpaulin covering the terrace is supported by an aluminium structure in anthracite. 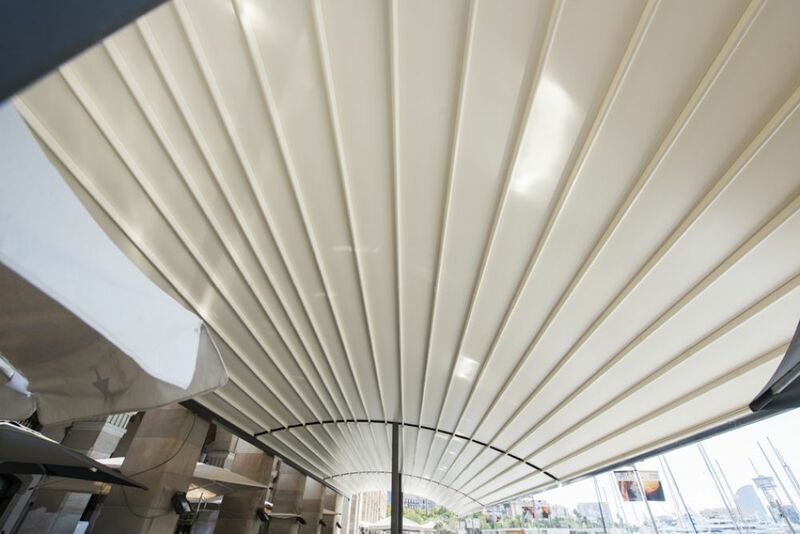 It is also incorporates a front aerofoil slat. 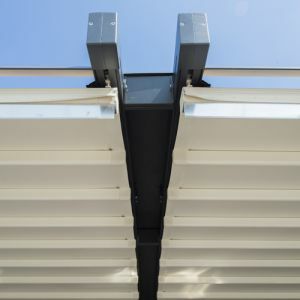 This product is operated by motorised remote control, giving the customer the option of retracting the front and back cover. 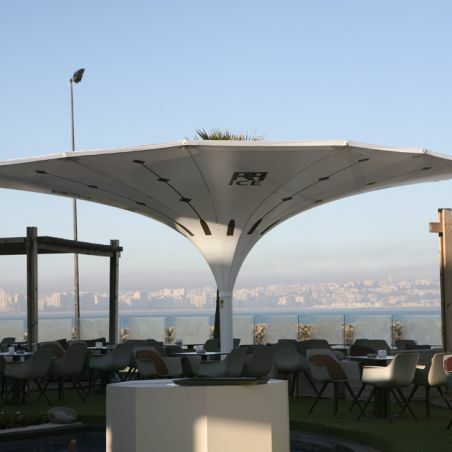 This pergola is capable of withstanding a wind load of up to 100 km/h, and adapts to all kinds of harsh weather. 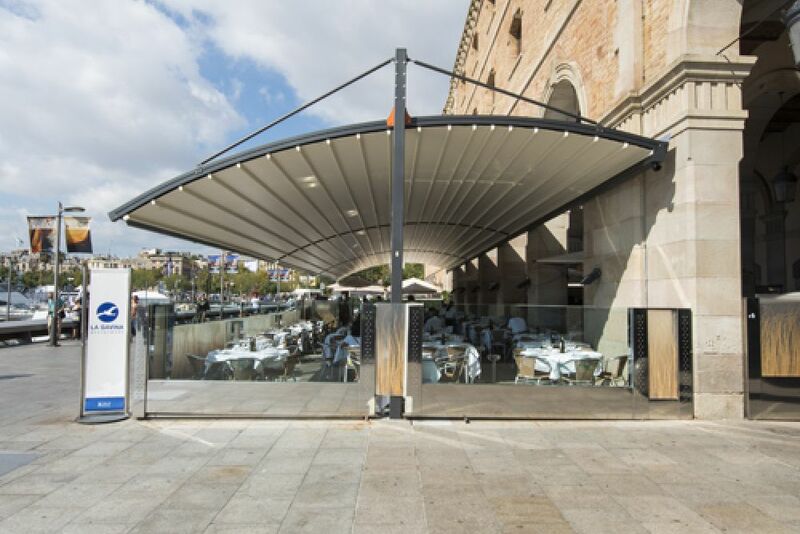 As well as offering a solution adapted to each business, this pergola is endowed with a top design that transmits particular elegance in the aesthetics of the Port.